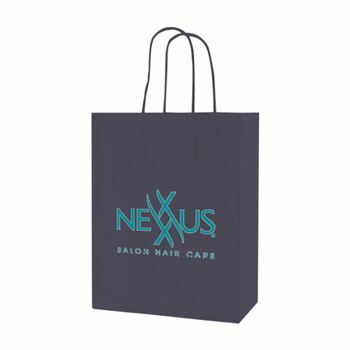 These fashionable shopping bags include a twisted paper handle for easy transportation and are made with pride in the USA! 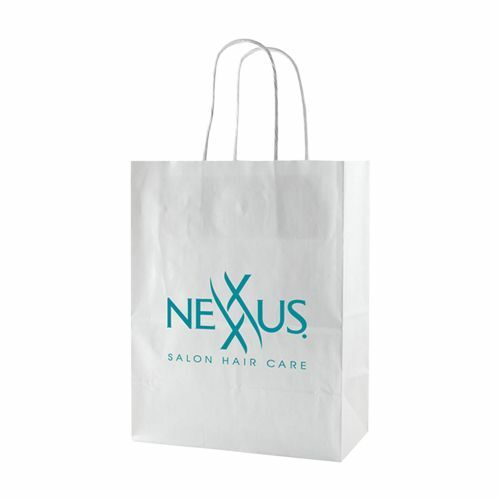 This is the perfect solution for any company to showcase their brand with top-notch graphics and designs. 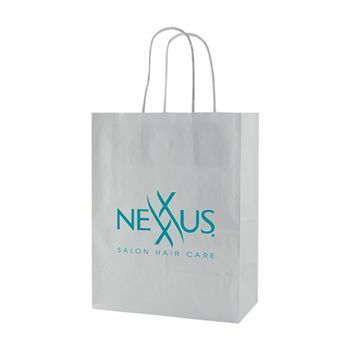 The perfect solution for a classy yet durable shopping bag, these are coated in a high-gloss finish and feature convenient kraft paper handles with a serrated cut top. 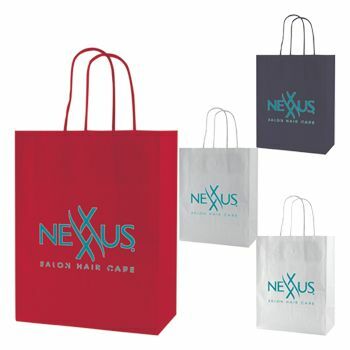 Choose from different sizes and colors that will may your logo pop. Bags are available for purchase by the case. 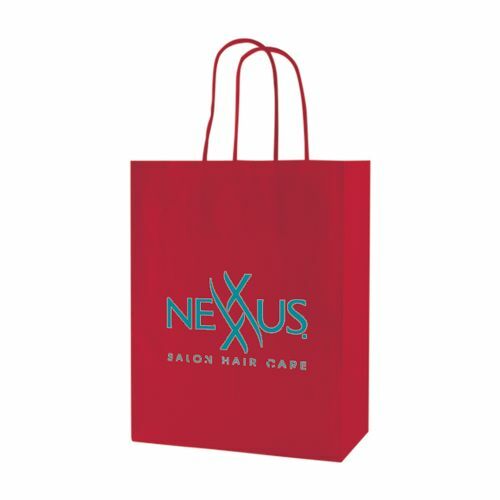 On-time production and delivery are guaranteed; make a lasting impression on your customers by making your purchase today!